Running has been my go-to sport for well over a decade now. I spent years working up to longer and longer distances, then really working on building my speed. 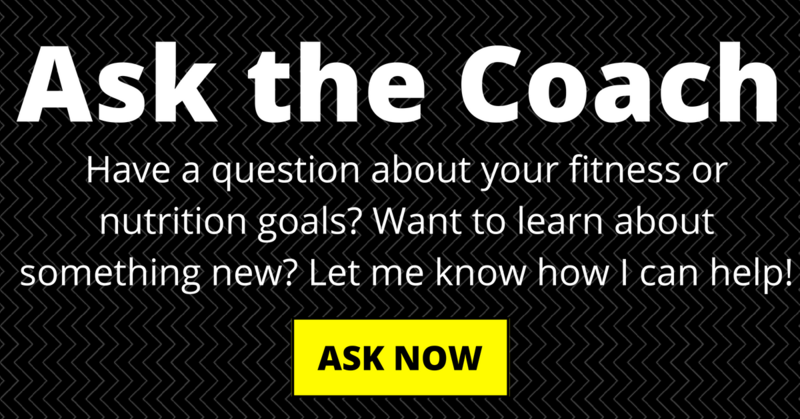 At the beginning of this year, I took three months off running to focus on building muscle. That’s the longest break I can recall from running. Disclosure: This post is part of a sponsored partnership with BolderBOULDER 10K. While I was compensated for my participation, all opinions are my own. You can read my disclosure policy here. I’ve coached athletes back from a break before, but doing it myself has been humbling. A long run is much shorter than my brain says it should be. My pace is slower. My legs get tired at distance that used to be easy. If you’re a runner who’s taken a break, I bet you can relate to these feelings. Take it easy and follow these tips, then we’ll both be back to our own running selves before too long. Even if it feels like it takes forever to get there. Start Slow. And Short. No matter what your distance has been in the past, you need to start slowly. Try 10-20 minutes of running at a very slow pace. If you can’t hold a conversation, slow down. It’s going to be slow. Accept it. Build Up Slowly. Remember that your body isn’t familiar with running right now, so keep your mileage very low. And build up very slowly. A good rule of thumb is 10% increase per week, although that is just a guideline. But take it easier than you think. Ignore your Pace. If you look at your pace, you’ll likely get frustrated. So don’t look. Build up your volume and the speed will come back in time. Focus on your effort over pace. Be Patient with Yourself. Remember that you took a break. Hopefully by choice, but sometimes this can be due to an injury. Cut yourself some slack and appreciate the small victories along the way. 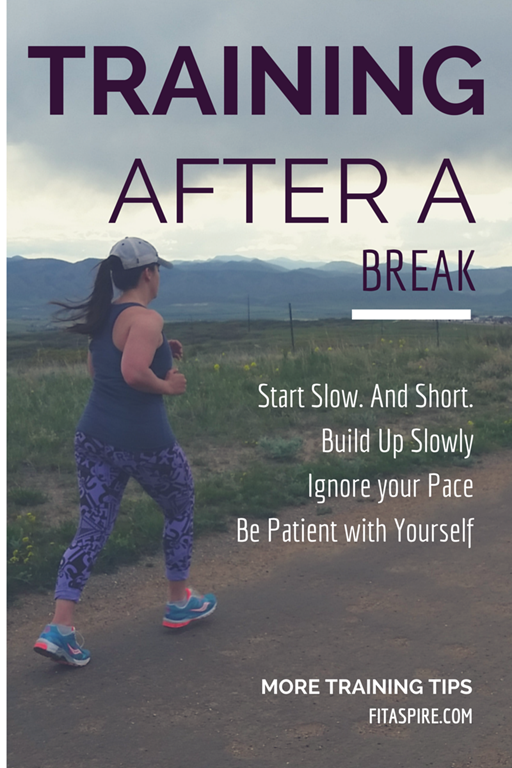 With just 2 months between my break and the BolderBOULDER 10K, slow has been the focus of my comeback. My pace is currently in the 10-11 minute per mile range, a far cry from my previous pace for these distances. But you can’t build speed and distance at the same time! Most of my runs have been without looking at my pace at all. Although I usually do the math when I’m done with my run. This coming weekend will be the longest run of this training cycle – 6 miles. Funny how that doesn’t sound long to my head, although I know it will be challenging. I want to cover the distance before the actual race, so my legs remember the distance and I can enjoy America’s Favorite 10k on Memorial Day. After the race, I’m looking forward to maintaining the distance and rebuilding my speed again. Have you come back from a long running break in the past? What are your tricks to being patient when returning to your sport?